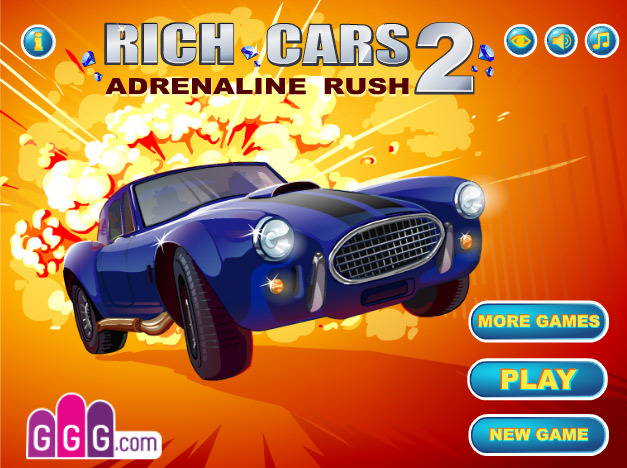 Get ready to enjoy the thrilling and adrenaline filled adventure as you play Rich Cars 2, which takes you back in time to provide you with a fancy experience with the high fi retro cars and riches. 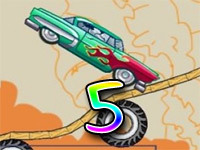 Travel along the twists, turns and giant obstacles in the game with a classic car which is very fast and can perform death defying stunts. Boost up your experience with the nitro, and blow up anything that’s obstructing your path without having to slow down. 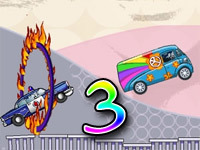 Experience another great race car adventure with more excitement and fun as you play again in the fancy world consisting more riches, loops, obstacles and police chasing you as well to enjoy in Rich Cars 2. Rich cars 2 is a sequel of Rich Cars. The game consists of various new improvements and a change of environment. 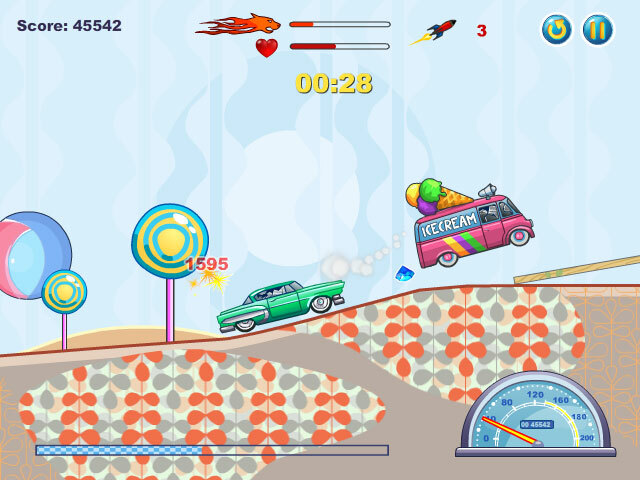 Rich Cars 2 is a car racing game which requires you to race against time as you encounter various obstacles on the way, by performing stunts and skillful driving you can get past these crazy obstacles in the crazy and fancy world. 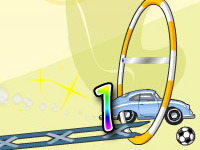 The objective of the game is to drive your way to the end of the stage to complete each of the many level in the game. In Rich Cars 2, the story begins with a man who is going to take his skills of driving in to Florida and Miami. You must help him be the best among the other rich cars and take you skills to the next level as you travel around the world proving yourself. The game provides a very fun experience as it offers a theme in the overall game which gives a vivid impression of the life of being rich – driving rich cars, meeting women, enjoying drinks and fancy foods etc. Play and feel what it was like to be rich in the retro world where everything was very different from what it is now. The game takes you to a fancy experience with the many different levels to choose from. 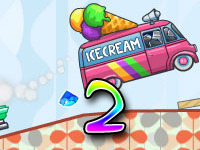 There are various levels in Rich Cars 2, by proceeding through each of these levels you get to go further towards the end of the story. 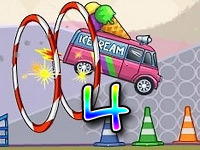 The stages or levels consist of some exciting new obstacles and props that were not available in the previous part. The stages must be completed within a certain time and by the time required to complete the levels by you will determine the scores you receive. The score also depends on the different stunts you performed during the level and the amount of gems or riches collected as well. You will be awarded a special trophy for completing the level and earning three gold stars. The gold stars are determined by the total points earned in the game. This is what provides you with more excitement and a purpose to play the game. The game is not only about racing against time but also about proving your skills as well.